Facebook, as you’ve probably noticed, is everywhere. And with that ubiquity comes a massive audience just waiting for your web app. Whether you’re looking to make things easier for your current users, or you have the perfect idea for a Facebook-only application, there are a few things you’ll need to know to get started. In order to install Facebook applications, or indeed to write your own, you need a Facebook account. You’ll also want to install the Developer application—this lets you create your own Facebook applications, as well as monitor their usage and configure various settings. You’ll also need your own web server; Facebook apps run direct from your own server—which means that you can write them in whatever language or framework you prefer. We’ll be using PHP in our examples, but the principles are the same for any language. API – The API defines the various methods through which you can interact with Facebook. If you’re not familiar with the idea of an API, take a look at some recent Digital Web articles: APIs and Mashups for the Rest of Us and Hacking on Open APIs. FBML – Facebook Markup Language is a custom markup language based on various bits of HTML. It’s similar to Coldfusion or ASP.NET’s tag-based syntax, and is used to define the pages in your application. FQL – Facebook Query Language is SQL for Facebook. A powerful query language for situations where there are no existing helper methods in the API, or handy tags in FBML, to do exactly what you need. We’ll be stepping through the development of a simple application which will demonstrate usage of FBML and the API. As well as the core documentation, Facebook also makes available a set of useful tools and resources for developers. The tools are particularly useful for debugging raw API calls or tweaking FQL. The resources section contains official libraries for PHP and Java, with links to unofficial libraries for ActionScript, Cocoa, Coldfusion, .NET, Perl, Python and Ruby, and there is also a growing community wiki. A typical page on Facebook is quite complicated, with lots of different elements on the page. Via FBML and the API you can influence most of these so it’s worth getting familiar with the terminology used before you get started. If you know your Profile from your News Feed then you’re good to go! We’re going to jump straight in to a full-blown application rather than start with a simple, but pretty useless, “Hello World” example. The application is called Birthdays Book, and it’s going to provide you with a list of your friends on Facebook, ordered by their upcoming birthdays. The first thing you’ll want to do is set up your web server with the relevant Facebook client for your preferred language or framework. Our examples are in PHP so we want the official PHP library files. Note that some of these only appear once you’ve answered certain questions. We’ll tick ‘Developer Mode’ and ‘Private Installation’ while we’re developing our app so as to avoid prying eyes—you can un-tick these once you’re ready for others to see and install your creation. There are lots of other settings you can tweak and information you can add, but this is a good starting point for our simple application. On this occasion we’re only going to have one page in our application, but it’s still good form to move common behavior and configuration into a separate file. We start out by including the client library and setting our API key and application “secret” (password). You should be able to get these from the ‘My Applications’ page after you have set up your new application. It’s worth breaking this line of code down, as it demonstrates how to make API calls using the library. We’re using two API methods in order to get the information we want: Users.getInfo and Friends.get. FBML is basically the HTML you know and love, so we’ll include a heading and a stylesheet. The link element isn’t permitted and the @import rule isn’t supported either, so the simplest solution is to use a server-side include. There are some more useful CSS tips on the developer wiki. Now we start with the bulk of our application. First we’ll set-up a couple of empty arrays for storing information about our friends. We’ll also set a timestamp of the current day and month and store it in the variable $now. We do this so that later on we can work out whether a birthday has already occurred in this year. For a full list of formatting options for the date function see the PHP date page. We already have a list of our friends in the $friends variable so let’s loop through that. What we’re aiming for at the other end is an array of our friends arranged into upcoming birthday order. We’ll hold details of each person in a placeholder array called $person, then place each $person with birthday information into another array called $with_birthday. We’re going to want to get at their name, their profile picture, and details of their birthday. For ease of reference we store these against relevant keys in the array: name, image, month, day, year. Here we have an example of the special FBML markup tags. Facebook users are referenced by a unique identifier which is returned by various API methods. We pass this uid value to the fb:name and fb:profile tags which return the name and profile picture of that user. A full list of FBML tags, along with lots of examples of usage, can be found on the wiki. Core documentation really is one of the strengths of the Facebook platform. Not everyone enters their birthday details into Facebook. We’ll store those people in the $without_birthday array for now. You could always do something with this information later. Now we have an array of people with birthdays we can loop through, but they’re in the wrong order. We’ll use the handy PHP array_multisort function to remedy the situation. array_multisort allows us to sort a given dataset ($with_birthdays) by one column (‘relative_timestamp_with_year’) using different order flags (in this case SORT_ASC, an ascending sort). The finished application can be found at apps.facebook.com/birthdaysbook and you can download the source files at www.digital-web.com/extras/facebook_application. 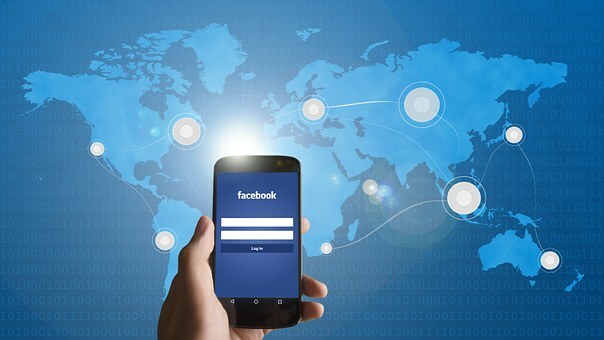 Once you have a simple app up and running the next things you’ll want to look at are ways of interacting with the rest of Facebook. Take a look at Profile.setFBML, Feed.publishActionOfUser, and Notifications.send to get you started. The Facebook platform isn’t standing still. Look out for the new mobile additions which allow for mobile optimised content, as well as sending SMS messages from your apps. Even more interesting are the new Data APIs, which let Facebook deal with the problem of scaling data storage while you get on with developing your applications. If you can already build simple websites you can build Facebook applications. Being able to use your preferred language or framework really helps and the quality of the core documentation means the best way to learn is to jump in with your own ideas. In the second part of this article we’ll be taking a closer look at getting information out of your Facebook applications and onto peoples profile pages. Gareth Rushgrove is a web designer and developer living in Newcastle, UK.